Fertilizer has been in the agriculture business for a very long time to aid the farmers to grow their crops fast and healty. As time progress, home gardeners now uses fertilizer for their home grown plants. Low Cost – because it’s organic and you can produce these for free. Non-Toxic – fruits, vegetables and other crops produced using organic fertilizers are free of harmful chemicals. People eating these food are prone to diseases. 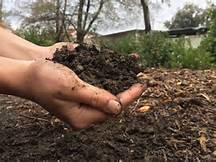 Soil Improvement - these organic fertilizers help improve soil structure and its nutrient content. Chemical fertilizers are potential source of water pollution. Organic fertilizers helps the soil to retain moisture and nutrients. Organic fertilizers ensure that the farms and your gardens remain fertile for hundreds of years. Environmentally Friendly – organic fertilizers are bio-degradable and do not cause environmental pollution. Chemical fertilizers contaminate both land and water. Being pollutant, this will cause diseases for human and may also harm other plants and animals. MINERAL BASED FERTILIZER -this kind of fertilizer can add nutrients to the soil and raising or lowering the pH level when needed for healthy plant growth. Samples of mineral fertilizers are calcium, epsom salt and peat. ANIMAL BASED FERTILIZER – adds lots of nitrogen to the soil. Animal manure (may come from horses, cows, pigs, chicken or sheep), bone meal (supplies calcium and nitrogen to the plant, rich in phosphorous, a mineral that plants need for healthy root development and flower growth, blood meal (increases the yield of fruits and vegetables, adding lots of leafy green growth, and can also help keep deer out of the garden. ), hides, hoofs, horns are some of the animal fertilizer source. This kind of fertilizer is best for leafy plants. Fish emulsion contains a very high concentration of nitrogen. PLANT BASED FERTILIZER – break down faster than any other organic fertilizers. A green manure is a great source of soil fertility. This kind of fertilizer help add drainage and moisture to the soil. Some of this fertilizer are molasses, legume cover crops, kelp seaweed, cottonseed meal (high nitrogen content) and compost tea. 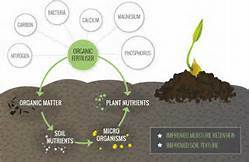 Algae composed organic fertilizers are used to capture nitrogen and phosphorus runoff from agricultural fields preventing water contamination.